Technology should provide powerful human experiences by tapping into our senses. That's what eye tracking does. It's a sciency process, but with an emotional reward. Eye tracking lets your device know where you're visually focused, giving you an extra input mode when it comes to gaming. It also makes interaction feel more real. Your experience becomes richer and your instincts extend into the game itself. All this made possible by illuminators and sensors that calculate your gaze point on your device's screen. So how does eye tracking work exactly? If you watch the video below you can find out more about eye tracking and how it's beneficial for gaming. This video was originally made for our Gamer Affiliate Program which allows gamers to apply for creating content that will be distributed on our social channels, read more here. In Tobii Tech we're mainly focusing on gaming where we have 4 focal points. Eye tracking in gaming is a game-changer, but not a replacement. Just as your hands operate the mouse, gamepad and keyboard - your eye movement is now also included as an input mode. Natural actions and reactions like aiming, taking cover or panning your gaze are now possible with minimal effort. With the game knowing where your gaze point is it'll know more about your instincts and intentions and it will complement your gameplay effortlessly. Imagine this, you're playing a game where you're standing in the middle of a field and you're looking up to the sky and the lighting actually adjusts to where you're looking without having to give your computer an input by moving your mouse towards the sky. You spot an enemy and you get into a position where you can take a shot at him. You look at the enemy that is positioned slightly to your right and then once you take aim, the game will pull your aim in the direction you're looking rather than assuming that your target is at the center of your screen. The game knew where your focus was and didn't have to assume your targets position would be in the center. The game just knew where your point of interest was. Imagine being in a game where your environment can react to your gaze. If you have eye contact with someone they might start talking to you. If games know where you're looking, they could also make use of that in a way that they can try to scare you. Imagine looking into a mirror and all of a sudden it cracks, just because you were looking at it. So with eye tracking you can have different items, objects and NPC's react in certain ways based on where you're looking. In horror games it might not be for the faint hearted. With our Infinite Screen features you can easily look around in all directions. This is an immersive experience if you play a lot of simulator games where you're driving or flying in first person view. 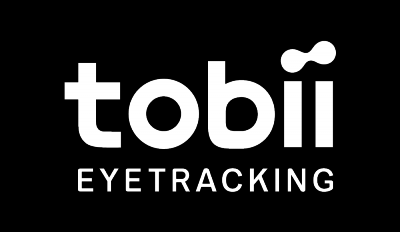 With Extended View you can get eye tracking and head tracking in combination which allows you to make small movements as well as larger movements. Head tracking allows you to move the in-game camera very quickly from left to right and at the same time you can make smaller movements with eye tracking. By using Extended View you will have better situational awareness by using a natural way of looking around while you're in control of a vehicle.